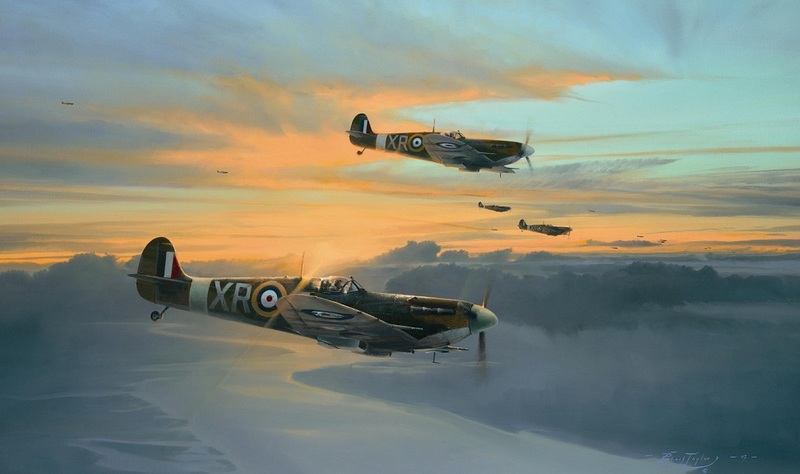 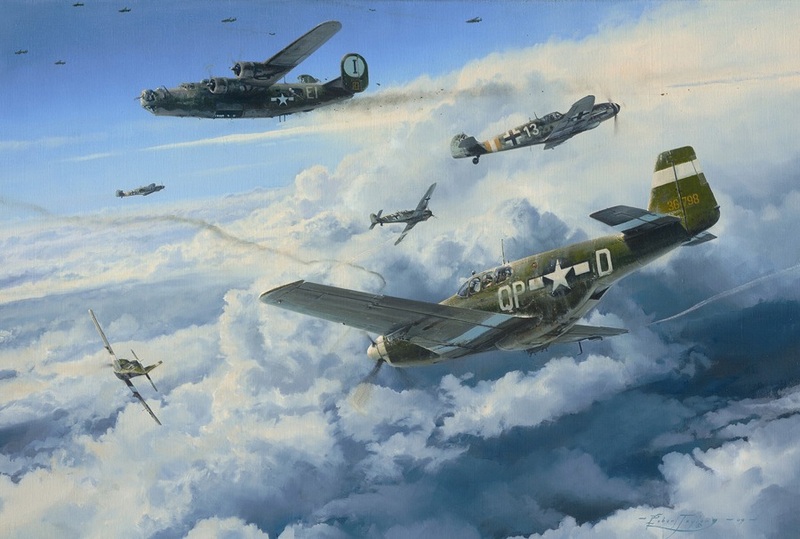 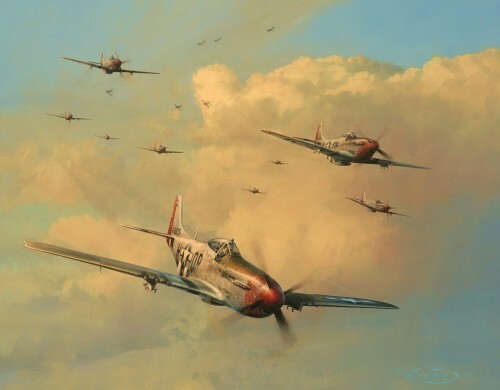 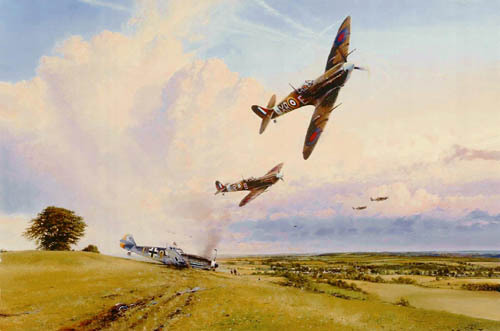 The name Robert Taylor has been synonymous with aviation art over a quarter of a century and he is widely regarded as the world’s premier painter of aviation subjects, and is certainly the most widely collected artist in the history of the genre. 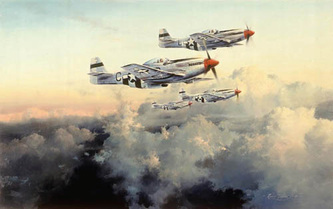 carefully rehearsed realism that few other artists ever manage to achieve. 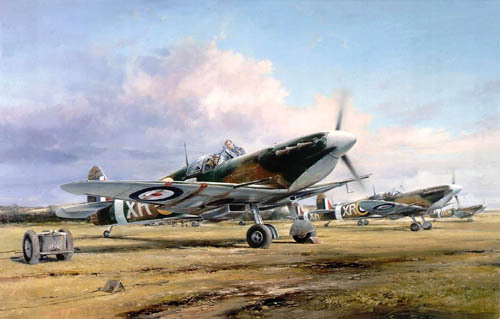 His trade mark: flying machines that are battle-scarred, worse for wear, with dings down the fuselage, chips and dents along the leading edges of wings, oil stains trailing from engine cowlings, paintwork faded with dust and grime; his planes are real! The aviation paintings of Robert Taylor, more than those of any other artist, have helped popularise a genre which at the start of his remarkable career had little recognition in the world of fine art, and his work is the benchmark by which all others in this field set their standards.